The title may be a little misleading. 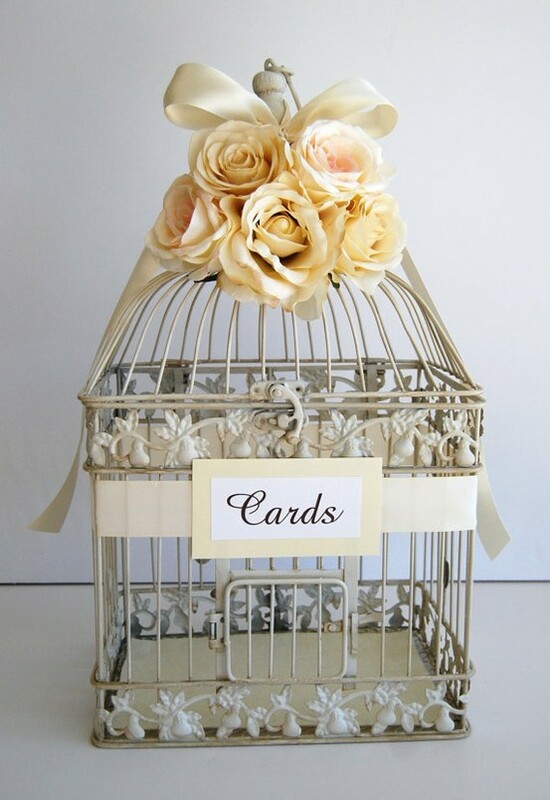 What I meant to say was that birdcages are perfect for weddings. They can be used in a variety of ways; some you may not have thought of before. A birdcage makes a perfect place for guests to place their well-wishes for the love birds on the day of the ceremony. Birdcages filled with flowers make breathtaking centerpieces for the reception. Similar to the idea above, birdcages with candles, set atop a decorative mirror, provides enough lighting to create a quaint ambiance for your dinner guests. Birdcages can also be used in the way they were originally created...to house birds. Releasing a pair of doves at a wedding is truly symbolic. The white doves represent the bride and groom as they begin their life's journey together in purity and with no regrets of their past. So, there you go, a few ideas for the lovey-dovey couple.